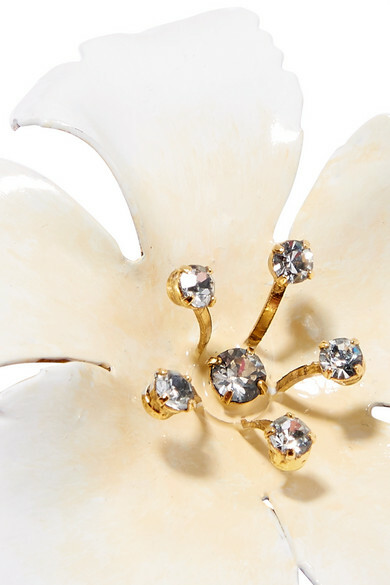 Jennifer Behr's hair tie is handcrafted from enamel to resemble a buttercup - the brand's favorite flower - and is dotted with crystals in a gold-tone setting. 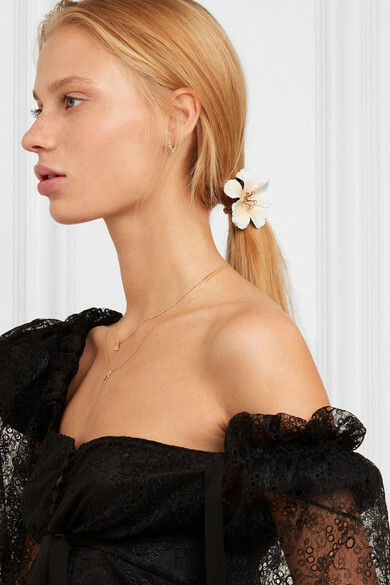 Wear yours to secure a low ponytail or top knot. Shown here with: Magda Butrym Dress, Natasha Schweitzer Necklace, Jennie Kwon Designs Necklace, Monica Vinader Earrings.